The American Cancer Society (ACS) is leading the way in an ambitious effort to demonstrate to lawmakers how the quality of life (QOL) of patients with cancer can be improved when palliative care is introduced both alongside and early on in the treatment process. In November 2013, the ACS sponsored a series of live workshops called “Advanced Communication Skills for Difficult Situations (ACSDS)”, which aimed to provide proof-of-concept to clinical studies that concluded that palliative care should be combined with a critically ill patient’s primary treatment at a much earlier stage, and “better communication is needed between doctors and patients when doing so,” said Rebecca Kirch, Director of Quality of Life and Survivorship for the ACS in Washington, D.C. The four workshops took place in Los Angeles, Miami, Boston, and Minneapolis. Observe the way a team of 20 oncologists from different hospitals and geographies communicate and respond to live actors portraying terminally ill patients with cancer receiving news that their treatment has not succeeded. Study how the reactions of participating oncologists and live actors align with existing research that suggests that the delivery of palliative care becomes a more integral part of primary treatment. Improve standards-of-care guidelines and propose legislation based on the ACSDS workshop results and other data to facilitate a closer blending of palliative care and primary care. Interestingly, the changes ACS is looking to accomplish through better integration of primary and palliative care are not targeted specifically at patients with cancer. Instead, they are targeted at improving three key factors of QOL for all seriously ill patients: palliative care, psychosocial/rehabilitative care, and overall wellness. Kirch indicated that the best place to inspect these three prongs of QOL, however, is in an oncology setting. “If we fix palliative care for oncology, we fix it for many other serious illnesses. So our legislative agenda is not focused on cancer. It is for all serious illness, but we learn the quickest about palliative care from oncology,” she said. There is hope that lawmakers will be persuaded to take steps to encourage or mandate a closer knitting between primary and palliative care, added Kirch. However, legislation cannot improve the way an oncologist communicates palliative care issues to a patient in the privacy of an office. To address this, findings from the workshops will also create a guide for palliative care communication. Being able to hear and see what can be [an] incredibly emotional conversations between doctors and patients will be a way to “definitively show that studies on better integration between palliative and primary care are correct,” said Kirch. One of the oncologists who participated in the ACSDS workshops is Anthony Back, MD, a medical oncologist at Fred Hutchinson Cancer Research Center in Seattle, WA. With a $1.4 million grant from the National Cancer Institute, Dr. Back has studied palliative communication skills for the past 5 years. Much of his work has been to develop better ways doctors can communicate with patients. Dr. Back is developing what he calls a “cognitive map” to help direct oncologists in the context of a conversation in order to enable patients to project their anxiety and help them with hard-to-handle emotions, such as facing death. When complete, Dr. Back’s cognitive map will give doctors tips to creating “a soft start to a complicated message,” he said. Zett-Alexandra Small lost her mother to pancreatic cancer in 2012 after a rapid 14-month decline in her mother’s health. Ms. Small, who works as a volunteer coordinator at The University of Texas M.D. Anderson Cancer Center in Houston, TX, told ChemotherapyAdvisor.com that her mother rebelled against the notion that it was time for palliative care. She preferred to remain in denial of her impending death. “To my mom, the term ‘palliative care’ meant that was the end. She had what I think is the typical reaction when someone hears the term palliative care—or hospice—you only think of one thing, which is, I’m dead tomorrow, versus the big picture of what there may be left to do in the time you have,” said Small. Earlier delivery of palliative care during the brief period of her mother’s pancreatic cancer treatment would have improved her mother’s outlook during the final days of her life, said Small. The vital element of the conversation, according to Dr. Back, should be communicating just enough to allow patients in need of palliative care to “take the ball and run” with expressions of their fears and confusion. Patient reactions to bad news will vary so drastically, however, so doctors can never plan for everything, he added. “We’re trying to increase the vocabulary of patient care. But how do you increase the vocabulary that doctors have when a patient suddenly gets upset?” asked Dr. Back. What typically happens—as in the case of Ms. Small’s mother—is that the doctor politely backs off and reports that the patient is in denial and not ready to hear about palliative care, said Dr. Back. “We are not saying that the oncologist needs to be a therapist; we are trying to provide better communication tools for complex subjects,” he said. ACS has two Federal bills introduced into the House and Senate that will leverage the ACSDS workshop results and prior studies on palliative care to inspire policy changes at a level that is necessary to improve patient care, said Kirch. There are also more legislative ambitions from the ACS in effect that are focused on palliative care awareness and access, added Kirch. “We are helping end some old habits that die hard. When we know we use the right words with our patients, they get the care they need and clinicians get what they need to deliver it,” said Kirch. Back AL, Arnold RM, Tulsky JA, et al. Teaching communication skills to medical oncology fellows. J Clin Oncol. 2003; 21(12): 2433-2436. Levit L, Balogh E, Nass S, Ganz PA. Delivering high-quality cancer care: charting a new course for a system in crisis. Institute of Medicine of the National Academies. Released September 10, 2013. http://iom.edu/Reports/2013/Delivering-High-Quality-Cancer-Care-Charting-a-New-Course-for-a-System-in-Crisis.aspx. Accessed December 3, 2013. OncoTalk. 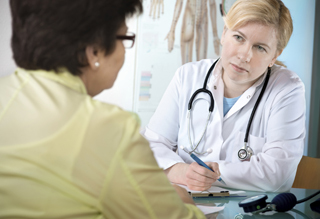 OncoTalk®: Improving oncologists’ communication skills. http://depts.washington.edu/oncotalk/. Accessed November 7, 2013. Back AL, Arnold RM, Tulsky JA, et al. Efficacy of communication skills training for giving bad news and discussing transitions to palliative care. Arch Intern Med. 2007 Mar 12;167(5):453-60. VitalTalk. New talking maps for discussing prognosis, & goals of care. http://vitaltalk.blogspot.com/. Accessed December 4, 2013.